Auckland, 8 August 2015 - With an increasingly ageing population leading to strongly rising demand for retirement aged care accommodation, a prime opportunity to purchase an established, resident-funded retirement village in Auckland’s exclusive city fringe suburb of Mt Eden has come to the market. Marketed on a sole agency by Brent McGregor and James Lee of CBRE New Zealand on behalf of Mt Eden Gardens Village Partnership Limited, the Mt Eden Gardens Retirement Village at 467 Mount Eden Road is for sale by way of Expressions of Interest, with submissions accepted before 4pm on Thursday 10 September 2015. Brent McGregor, Senior Managing Director of CBRE New Zealand, says that “the facility has a growing cash flow profile consistent with retirement assets in early stages of occupancy maturity. With current interest rates at historically low levels, now is a great time to invest. McGregor adds that retirement village and aged care operators are consistently delivering year on year growth, with some reporting record profits for the latest financial year. 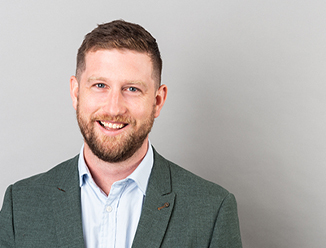 “The momentum is with the sector right now with new land acquisitions in recent weeks including two large sites in Eastern and Central Auckland, both marketed by CBRE New Zealand. Originally the location of the Rawhiti Surgical Hospital, the property was converted to its present retirement village use in 2003, when Mt Eden Gardens Retirement Village opened its doors on site. The expansive 4,417sqm site allows access from Mt Eden and Fairview Roads, with wide frontage to both roads, giving it a high profile position in front of thousands of cars that pass by each day. Built over two levels above a basement, the main component of the Mt Eden Gardens Retirement Village incorporates 35 independent living apartments and communal facilities including lounges, a television room, dining room, spa pool, workshop and petanque court for residents to enjoy. A central feature courtyard acts as the heart of the facility. James Lee, Director of China Business Group, says that Mt Eden Gardens Retirement Village has moved with the times, adapting its spaces and configuration to cater for the demographic of its residents. “The Mt Eden Gardens Retirement Village is well set up to meet the needs of today’s retirees and those of the future. The 35 independent living apartments at the Gardens provide for a variety of designs and floor areas with a range of options. “Floor areas for the units range from 29sqm for a studio apartment up to a maximum of 101sqm for a two bedroom apartment, plus some good decking areas for outdoor living. “An update to the facility in 2007 included extending some of the apartments into two-bedroom units, reconfiguring the existing reception area into a new apartment, and even adding a new media room to the shared space. The Mt Eden Gardens Retirement Village generally accommodates one resident per unit, with a few couples occupying the larger units. The typical length of stay for residents is between four and five years, although 37% of the units have now been occupied for more than five years. Lee says the average occupancy period provides the operator with a good line of sight into the future performance profile for the facility. He adds that in recent years the average entry age has increased upwards of 80 years consistent with the level of service provided at the village. Mt Eden Gardens Retirement Village sits within a popular location directly to the south of Mt Eden Village within the inner suburbs of the Auckland Isthmus, less than five kilometres south of the Auckland CBD. McGregor says the property and facility could not sit in a better location: “467 Mt Eden Road sits within one of Auckland’s most exclusive areas. 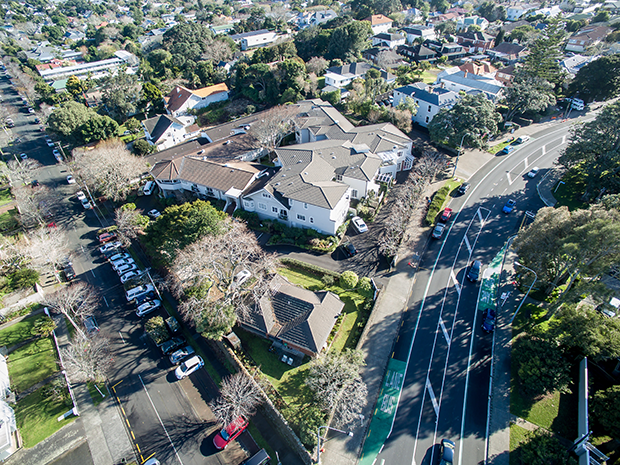 As a result, Mt Eden Gardens Retirement Village enjoys an ideal population catchment with excellent public transport connections on the doorstep, as well as easy motorway access – justifying its description as one of the best locations in Auckland. Lee adds that there are a number of specialist medical centres in the area, which are ideally placed for residents. New Zealand’s ageing population is growing rapidly, and it is also changing in its make up. “The 65+ age group made up 14.3% of the New Zealand population in 2013, and that’s projected to reach 23.8% in the next 30 years. Of real interest to those in the aged care and retirement village sectors is the fact that people aged 85 years plus are now making up a growing proportion of the overall 65+ age group. The group of people aged 85 years and older grew from 10.8% in 2001, to 12.1% in 2013, and that figure is now projected to skyrocket to 19.7% by 2043.